Much like the weather here, Colorado is ever-changing. It is always growing (whether we like it or not) before our eyes, and yet it always feels too fast. While we understand we must let it grow to fulfill its potential of great economic stability, we can’t help but miss the days when its cities seemed small and its mountains immense. Development could barely roam past the border of foothills on one side and desert-like plains to the east. May is the month that most parents feel this same way about their children, and June is the month when many must embrace the reality. Jan is among those parents this year. Four years ago she saw her daughter Jaci move on from high school and this year marks her next transition. 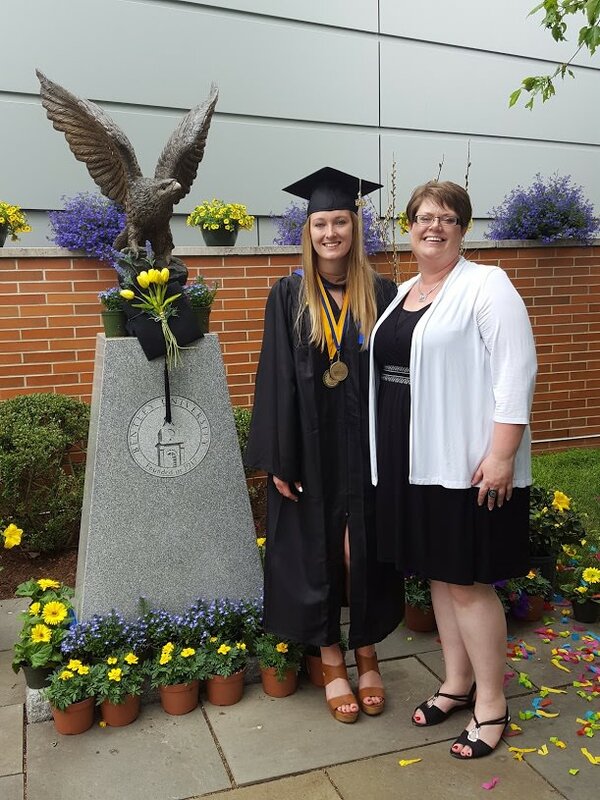 Jan flew back east to watch Jaci graduate from Bentley University with honors last month. Though watching her move to the next step is hard, we know she must, in order to grow into the person she’s meant to be. This month will find Jaci moving into the next phase of her life as she settles into her new position with Traveler’s. Speaking of Travelers, our busy travelers Lori and Jim found themselves conducting plenty of hard work and play from Florida in recent weeks. They brought seven-year-old grandson Tayvian with them and the only work he had to embrace was the muscle power used to push his little bike peddles around. He highly enjoyed his trip with his grandparents. Paula and her family have found a new place in their lives as well – literally. It has been just over a month since they moved to a new house, but they still push on in effort to make the new house their home. Remodeling, cleaning, painting and unpacking have become their newly adopted pillars for the summer. Will all the work be worth the new value they put into their home…..?